Harry and Stevie performed âStop Dragginâ My Heart Around” together during the show! âSorry.Well, I liked One Direction too,” she added. 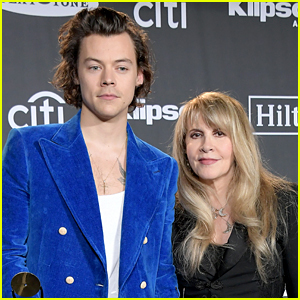 Harry Styles was on hand to honor Stevie Nicks at the Rock & Roll Hall of Fame Induction Ceremony, but she wasn’t exactly sure what group he used to be in! The legendary singer was opening up about her bond with Harry backstage following the ceremony on Friday (March 29) in New York City.